I found The Monkey Toy very intriguing. Everything you would expect a mystery/thriller to be. By the third chapter I was hooked and by the second day had finished the book. Did not want to put it down. Very well written. Historic. Fact based. I recommend this book to everyone. Great New Author – Great written book for a first time author. The storyline flows well from beginning to end. Even though main characters are in the Navy the author makes sure not to lose people with a bunch of military speak. Where the monkey toy ends up is a surprise. Excellent Read – The booked flowed well throughout,never dragged in spots as some novels do. I thought the characters were very believably fleshed out and gave a good feel for the Navy and ship board life. The many unexpected turns, kept you turning the pages and not wanting to put it down. Graphic at times, but certainly adds to the reality of our times and the unexpected ending of the novel.Great book…I’m looking forward to his next novel. Suspense – This is a good suspense generating writing. Upon receipt, I read the complete book without closing it except for going to the bathroom. The time frame Korea to present is compelling for most people. The author introduces the characters and fleshes them out very professional. Story keeps you wanting to find out what happens to each character, as well as the world in general. The toy is very intriging and ties the book together. Very descriptive, and lucid insight into the military, especially the Navy. I like the final few chapters (couldn’t read them fast enough), and the fact the author allows the reader room for speculation at the end. This book is begging for a sequel. An Exciting New Author – I couldn’t put it down. More twists and turns than Lombard St. In San Francisco. Some parts could be polished but the story is so enthralling it really doesn’t matter. Did not see the ending coming!! Looking forward to his next book. Thrilling – Couldn’t put it down. Very fast paced. Interesting info on Navy life and life in the Middle East – plus I think I put on 5 pound just hearing about all the great food! I didn’t see the ending coming either and I felt so sorry for the Joe character. Perhaps there will be more stories about “monkey toys” found in other locations around the world? I’d like to read more about this Eminence 13 group. 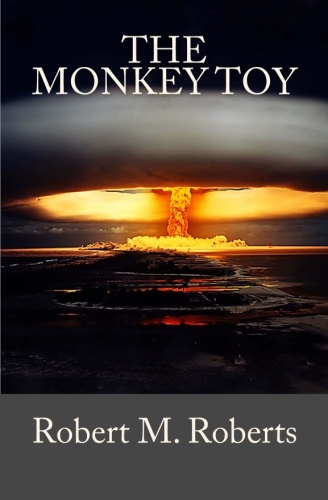 The Monkey Toy is a very good read – The Monkey Toy is a riviting thriller! The book grabs your attention quickly and you don’t want to put it down until you have finished reading it! It does contain some foul language, but that doesn’t distract from the story. I felt the author did a good job of bringing the story from the Korean War until present day. The story line is easy to follow and at the same time keeps you wondering what is going to happen next! Click here to go to Amazon.com and see more reviews. I must say you have high quality articles here. Your website should go viral. You need initial traffic only.